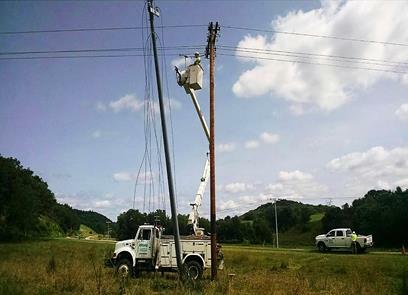 We can provide a wide range of services including; new service hook-ups, line retirement, tension-stringing, cutovers, pole change outs, and power line rebuilds. We have the employees and the experience to get the job done safely, on time, and in an efficient, professional manner. Tjader & Highstrom Utility Services, LLC is available 24 hours a day, 7 days a week.